Amar Kamath is on the executive team of BioReference Laboratories, which is the third largest publicly held clinical laboratory in the United States. Beyond leading marketing, he is involved in business development, intellectual property management and licensing, and new market strategies. Kamath came to ISU as an M.B.A. student. It was his first international travel and first airplane trip. While completing the degree, Kamath sold educational books door to door. Since then he has worked at three hospitals, including an internship at BroMenn. He spent the last decade advancing in the for-profit healthcare sector. Kamath works on clinical, molecular, and cancer diagnostics. He aims to provide cost-effective diagnostic services to help physicians more effectively diagnose and treat patients. He focuses on reducing sexually transmitted infections, personalizing cancer therapies, and diagnosing genetic disorders early. He is involved in philanthropic organizations such as Kiva, a microlending organization; Sierra House, a transitional shelter for homeless youth; and several patient support organizations. 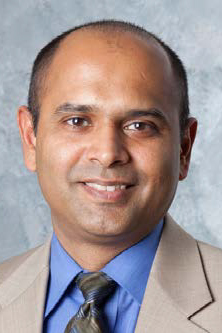 The 2010 recipient of the College of Business Early Career Achievement Award, Kamath visits ISU twice annually to serve on the College of Business Advisory Council. He is making efforts to establish a COB Alumni Network in the New York City area.